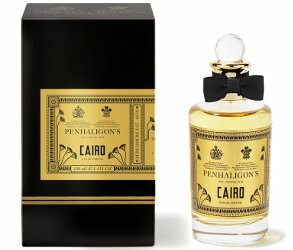 Penhaligon's has launched Cairo, a new fragrance in the brand's Trade Routes Collection. Inspired by the rising sun over the ancient city, the Cairo eau de parfum by Penhaligon's boasts exquisite Damascan Rose, macerated in an abundance of woods and spices. An ornate and sumptuous fragrance that echoes with saffron and incense, said to be the perfume of the gods, the scent finishes with patchouli and vanilla at its base for a familiar reassurance of dusk. Penhaligon's Cairo is available at Harrods, £168 for 100 ml Eau de Parfum. It does sound nice! I am not a huge Penhaligon’s fan though. This looks delicious! And I love the labeling. They do make pretty bottles! I’ll give it a sniff when I’m in London in November, but as I’ve mentioned before, their prices have been increasing, especially since the new ownership. It’s been a while since I last bought my beloved Bluebell, & may be a while yet till I do again. Their sale is always very good though! I want to buy this just because it’s named after the city I largely grew up in – not many perfumes are! I will have to watch out for sales – are they around the holidays? In past years there’s always been a sale at the beginning of the year – the traditional British ‘January sales’ of old. Recently, however, in both their Edinburgh shop 7 their shop in Camden Passage in Islington, London I have noticed a small shelf with ‘sale items’ at different times of the year. May be worth signing up to their newsletter, & hope they forewarn you of both in-store & online offers.